It’s a silly question that even the most well-intentioned patients will ask. Why? Because, quite frankly, they just don’t get it. Only now, that same question isn’t just silly—it’s entirely outdated, too. As the healthcare industry’s approach to improving patient satisfaction grows increasingly more team-based, the tides of demand are shifting. And nurses, it would seem, are riding the wave. Allow us to explain . 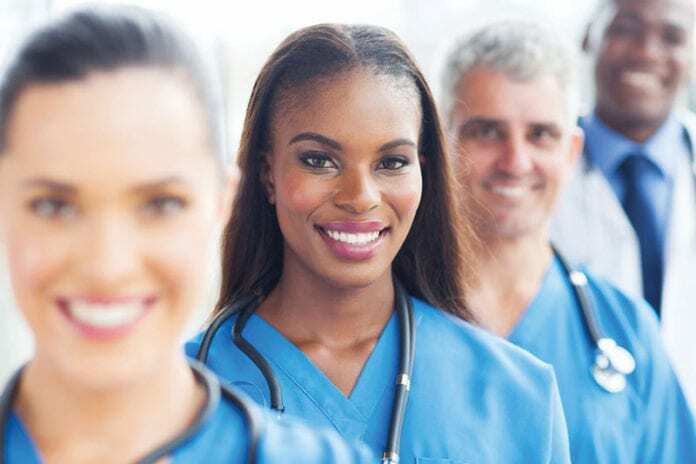 The snapshot into the U.S. healthcare workforce from Merritt Hawkins, a subsidiary of AMN Healthcare (AHS), comes as trends in insurance payment from private health plans, employers and the government under the Affordable Care Act emphasize keeping people well. The value-based care push away from fee-for-service medicine also emphasizes the outpatient care provided by nurse practitioners (NPs) and physician assistants (PAs) working with primary care doctors. Apparently, the word is out that more NPs and PAs equals happy patients. And at the root of it all? Heightened levels of accessibility and patient satisfaction. For the ninth consecutive year, the family doctor was the most highly recruited doctor. Internists were second on the Merritt list, followed by psychiatrists amid a nationwide shortage of behavioral health specialists. On their own, nurse practitioners ranked fifth behind hospitalists, who were fourth, and physician assistants were in 10th place, tied on the “in demand” scale with general surgeons. Advanced practitioners are more in demand than several specialties including general surgery, cardiology, urology and neurology. Again, more in demand than several specialties. Quite the news, right? Oh, and just in case anybody should ask, Merritt Hawkins’ findings come from a review of roughly 31,000 recruiting assignments conducted in the past year. So really, the report is nothing to scoff at. But enough from us—we want to hear from you! Feeling surprised? Excited? Maybe even the slightest bit skeptical? Tell us all about your response to the article in the comments section below!